Embrace the serenity of Mother Nature with a Poconos timeshare for sale at The Galleria at Split Rock. This spacious resort offers a one-stop-shop for a fun-filled vacation with unique opportunities for outdoor fun, paired with upscale accommodations and top-notch hospitality. The Galleria at Split Rock is a true haven of recreation, with tons of on-site activities for travelers of all ages. The resort offers timeshare owners access to its H2Oooohh Indoor Waterpark, cosmic bowling alley, first run digital movie theater, fun-filled arcade, laser tag, and regularly scheduled family-friendly activities. Fun times aside, the resort offers access to a well-appointed fitness center, indoor and outdoor sports courts, swimming pools with whirlpools and sauna, spa and salon services, and gift shop. The Poconos offer year round activities in the great outdoors. In the warm weather months, enjoy horseback riding and fishing, while winter months offer opportunities for snow sports and tubing. The resort is located only moments from Mohegan Sun Casino where you can enjoy slot machines, table games, and live harness racing. Explore the downtown Jim Thorpe historical Victorian village for unique educational experiences, shopping opportunities, and delicious cuisine. The Galleria at Split Rock is the ideal location for your Pocono resale purchase, with studio, one, and two-bedroom timeshares for sale. 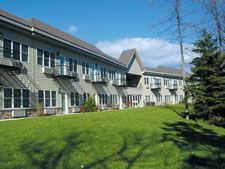 Each unit is appointed with such amenities as a full kitchen with all the essentials, flatscreen TVs, sleeper sofa, fireplace, and skylights, with some units boasting saunas, jetted bathtubs, and balcony or patio with scenic views. With units comfortably sleeping from two to six guests, parties of all sizes are sure to enjoy a one-of-a-kind Poconos vacation. Contact Galleria at Split Rock Specialist Today! Great family vacation resort. If you like the mountains this resort is for you. Very good skiing in the winter and very good for summer fun. Indoor water park on property, private beach for summer fun, all units are being updated by new operators, grounds are very well maintained by staff, twenty -four hour community safety on duty. Only ninety (90) minutes from New York and Philly.